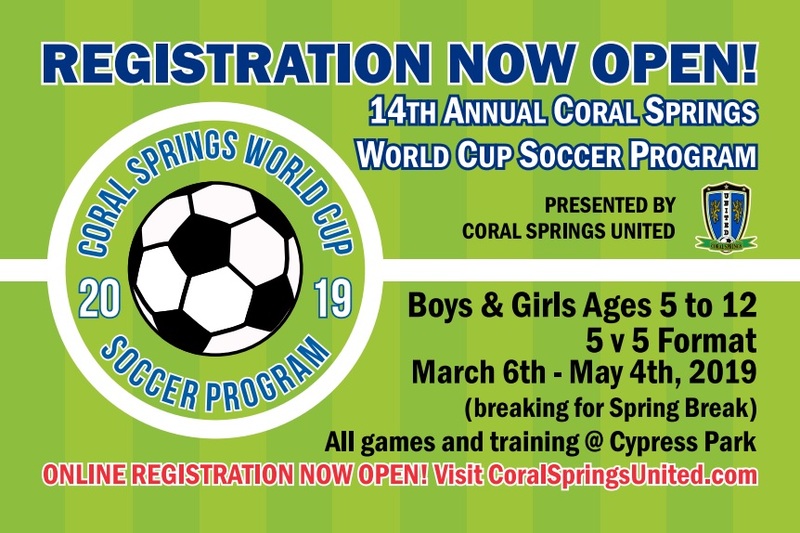 World Cup | Coral Springs United F.C. Q: What is the World Cup Program? Q: Do they play games or is just training? Q: What is 5v5? Is it different than games played in the recreational programs? A: 5 v 5 is the game everyone is talking about! Q: What ages does the program cover and what day/time are practices? 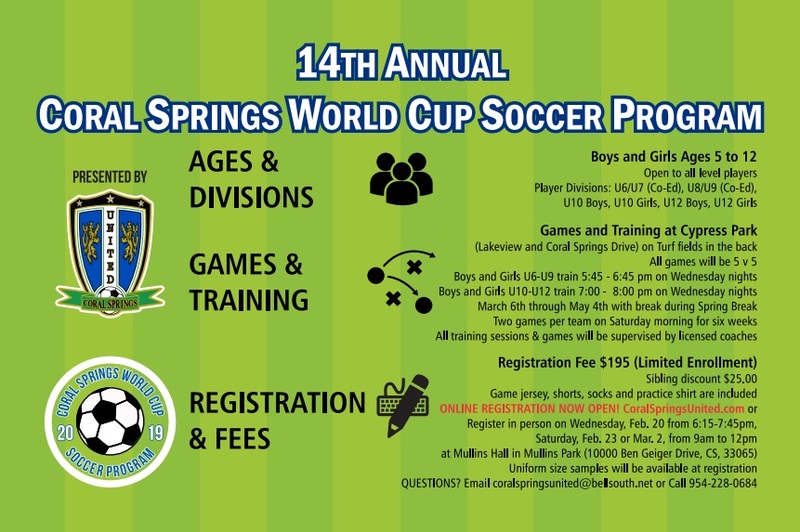 through U12 (Birthyears 2009 through 2007) players train from 7:00 PM-8:00 PM all at Cypress Park. Q: Is the program Coed or are there both boys and girls groups separate? we have sufficient enough players to form both boys and girls teams. Q: Is it a volunteer parent coach like what we get in the recreational program? A: The program starts on March 6th and runs through May 4th with a week off for Spring Break. Q: How much does the program cost and what is included? will receive a full uniform kit (Jersey, shorts, socks) and a CSU training shirt. Q: Can I request to be on the same team as a friend? Q: Is there a refund policy if we change our mind or move out of the area? a refund is requested prior to the March 5th, a refund will be issued minus a $25 administrative charge. Q: How do we register for the program? Saturday, March 2nd from 9 am to 12 Noon. Q: If I have additional questions, who can we contact?